Frontier opened up the beta for the Elite Dangerous 2.3 update several weeks ago, initially lacking its flagship multicrew functionality. 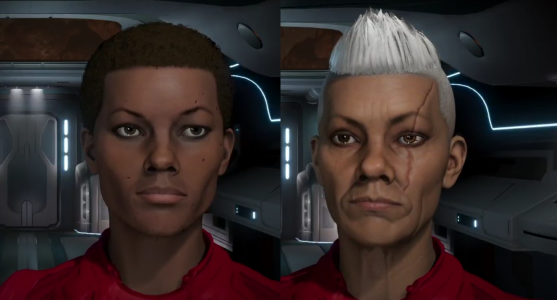 The character creator has been more or less exactly as advertised, with players able to work with over 50 presets for each gender and a very robust editor allowing for creations ranging from beautiful to hideous and everywhere in between. Multicrew has since been added in, and initial reports indicate that it will be fun and enjoyable for both pilot and gunner roles. Unfortunately, the same errors that caused the delay on release continue to plague the system, and it remains a bug-riddled mess, though Frontier is making progress every day. 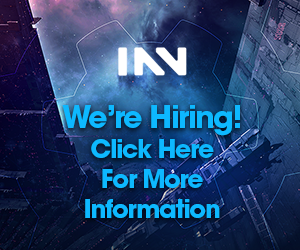 In addition to these two major content updates, Frontier is also rebalancing aspects of engineering, specifically to shields, and controversy has arisen over ship naming and monetization. Because I do not have beta access myself, impressions were gathered from discussion of the Beta among Diamond Frogs. 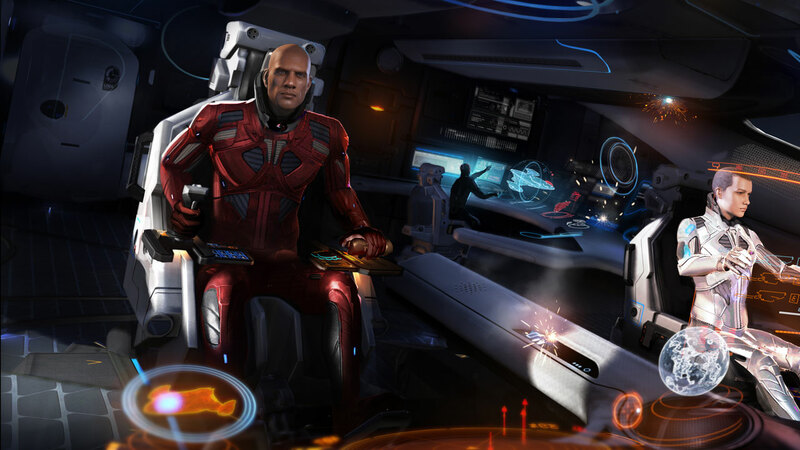 The Commander Creator is what Frontier considers the flagship of this update, and provides an in-depth system to design the character and clothing for your player avatar. This avatar appears via holographic telepresence in other ships as well as in your own ship at the helm, and in a flattened portrait version for communications and message notifications. The system reportedly works very well, without any major bugs that prevent it from working as originally demonstrated. The camera suite is also reported to work very well, but comes with none of the controls bound by default. Example characters from the beta livestream. Multicrew, however, has come up a disappointment not due to gameplay per se, but simply as it would seem it’s going to take a lot of time and work to get it ready for release. We were warned during the demonstration video prior to beta that it would be a “true beta” – a true test of the technology instead of a feature-complete hype-building exercise – it sounds as though the label has been earned. When Multicrew was finally enabled in the beta, major networking and basic UI functionality issues did not bode well. When matches were found and the system did work, however, both pilots and crewmen were having a lot of fun. There may need to be consideration for allowing the Helm to disable access to certain weapons or utilities, as it is possible to join a crew, discharge everything with ammo (such as missiles), and leave. It was also possible initially for gunners to jettison cargo. Both of these could provide avenues for griefing, a risk that could prevent players from being willing to participate in the random matchmaking system. Additional early comments include renaming the “Bounty Hunting” and “Piracy” modes to something more broadly descriptive, such as simply “Legal” and “Illegal.” “Bounty Hunting” mode simply indicates that crew who commit crimes will be automatically ejected from the crew, whereas in “Piracy” mode they will not be. Other than this there is no restriction indicating what activity will take place. Players who want to mine would join the Bounty Hunting queue, whereas players who want to smuggle would join the Piracy queue. Ambiguity here could confuse new players to an already extremely daunting game. In terms of rebalancing, the major discussion has centered around some nerfs to shield booster power. Frontier’s ever-vocal playerbase is complaining that reducing total shield benefits from boosters punishes PVE-style players and caters only to PVPers who want to kill PVE ships, whereas PVP players have always been concerned about the viability of eternal shield-tanks. The criticism of course is unfounded, as Diamond Frogs have found their total shield reduction in the beta to be only a few hundred MJ less than their live equivalent ship, and this amounts to little difference at all in actual practice. Frontier’s balance patches seem to generally be well received and on point. No new monetized release can escape without punishment, however, and controversy is also brewing over how ship name plates will work. The update is introducing the ability to name one’s own ship to anything with fewer than 23 characters. This name will show up automatically on your own HUD, however there is some confusion and perhaps deliberate deception about how it will show up to other players. Frontier has given the option of several name plate designs which can be purchased for real money from the Frontier store. These nameplates come in a range of designs that will appear visibly on the player’s ship. However, it would seem based on some statements from Frontier’s staff that without purchasing a name plate, the name would not be visible in the HUD of other players. That is, you can name your ships, but you have to pay if you want other people to be able to see those names. 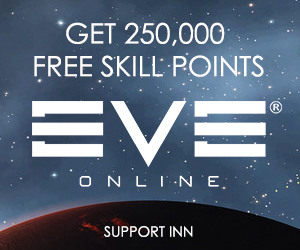 Debate is raging on the official forums regarding whether this is a predatory practice that violates the expectations of players who have been promised ship naming since long before Horizons, and those who claim Frontier needs to sustain its income and point out that the plates are optional. Frontier’s responses to these discussions have been understandably ambiguous, but it’s worth paying attention to moving forward. Frontier is continuing to improve the beta branch of Elite Dangerous several times a week as usual. Based on the magnitude of bugs in the early release versions of Multicrew, I expect this to be a typical Frontier Beta, lasting several months before it is released to the public. I would be surprised by release before late April and wouldn’t be shocked if it ran until late May. That said, I’m looking forward to Multicrew as well as a number of other features, and I’ll continue to report Beta information as it becomes available. Nice write-up! Hopefully we’ll be able to let you gather first-hand information, but multicrew seems to be shaping up to be just what the game needs.